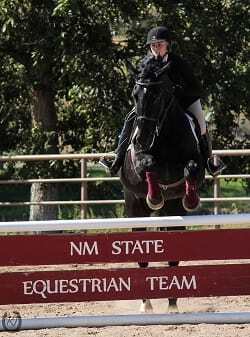 We need your support to save the Equestrian Team. 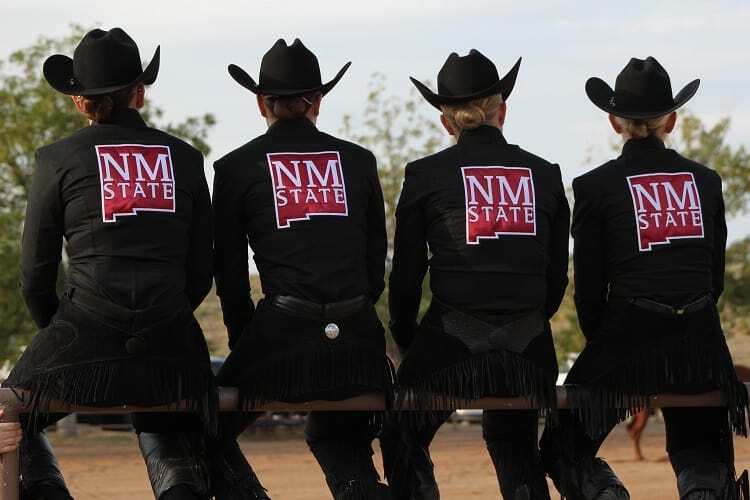 Equestrian is one of the most successful athletic programs at New Mexico State University. Every year it fields outstanding athletes and is consistently one of the strongest teams in its conference. It attracts bright young women from across the country and even from other nations. It sets an example for academic achievement and community service. It is the only sport that relates directly to the school's agricultural heritage and emphasis. And yet the college administration has decided for budgetary reasons to end the Equestrian program unless the team can be self-funded. Qualified for National Championships ten years running. We're not exactly sure why, but participation in equestrian sports seems to produce young women of particularly high caliber. Maybe it's the unique mix of courage, empathy and innumerable technical skills required to guide a 1,200 pound animal through a series of difficult maneuvers. Or maybe it's just the hours of gritty hard work that every rider must put in every day. Whatever it is, it tends to polish young women until they shine bright. Our team members come from places like California, Rhode Island, Canada, and yes, New Mexico. They come, like Jamie Story, to prepare for medical school in order to "serve others and give back." Or, like a number of our riders, to take the next step in an equestrian career. The one attribute all these young women share is a passion for everything they do. Your gift of $5 adds up to make a difference for our team! Your gift of $25 adds up to make a difference for our team! Your gift of $50 adds up to make a difference for our team! Your gift of $75 adds up to make a difference for our team! Your gift of $100 adds up to make a difference for our team! Your gift of $250 adds up to make a difference for our team! Your gift of $500 adds up to make a difference for our team! Your gift of $750 adds up to make a difference for our team! Your gift of $1,000 adds up to make a difference for our team!